St. Martin's Press, 9781250083067, 272pp. 18-year-old high school senior Isaias Ramos plays in a punk rock group called Los Psychosis and likes to sing along to songs by Björk and her old band, the Sugarcubes. He’s so bright that when his school’s quiz bowl goes on local TV, he acts as captain. The counselors at school want him to apply to Harvard. But Isaias isn’t so sure. He's thinking about going to work painting houses with his parents, who crossed the Arizona desert illegally from Mexico. Despite the obstacles and his own doubts, Isaias sets out on the journey to become the first in his family to go to college. He faces make-or-break standardized testing, immigration bureaucracy and absurdly high college costs. And most importantly, the siren song of doubt. This simple story reflects broader truths. Mexican immigration has brought the proportion of Hispanics in the nation’s youth population to roughly one in four. Every day, children of immigrants make decisions about their lives that will shape our society and economy for generations. DANIEL CONNOLLY speaks fluent Spanish, and, for more than a decade, has reported on Mexican immigration to the U.S. South for news organizations including The Associated Press in Little Rock, and The (Memphis) Commercial Appeal. The winner of numerous journalism prizes, he has received grants and fellowships from the Pulitzer Center on Crisis Reporting, the International Center for Journalists and the Fulbright program. He lives in his hometown of Memphis, TN. 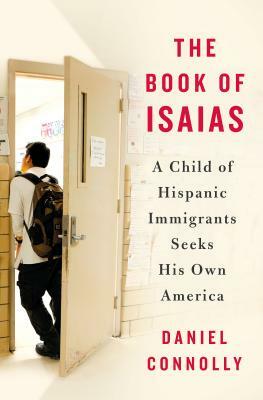 "The Book of Isaias is a compassionate and well-told tale from Tennessee, a corner of the U.S. that is being remade, quietly, by the dreams and the labor of Latino immigrants." —Héctor Tobar, author of the New York Times bestselling Deep Down Dark.